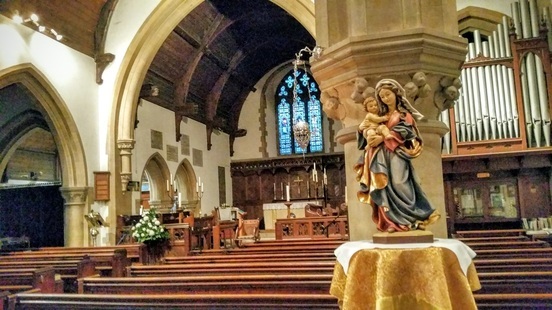 ​Saint Michael's is a friendly parish church with emphasis on the family and on Christian teaching within the framework of Holy Scripture and the Sacraments. Within the Diocese of Chelmsford and the Church of England, we are a Forward in Faith Parish;having membership of the Society of Ss Wilfrid and Hilda. As such we are in the pastoral care of the Right Reverend Norman Banks, the Bishop of Richborough. The church is open every day for worship but, sadly, has to be locked when not in use. However, from Easter until October the church is open every Saturday for visitors with stewards present. If you wish to visit at another time, please give us a call and we will let you in. Everyone is welcome to visit or to join us for worship. You will find the times of our services on the next page and on the Weekly Bulletin page.